Thermodynamics can be simulated with SOFA. This plugin proposes CPU and GPU implementation of the heat equation for both tetrahedra and hexahedra. 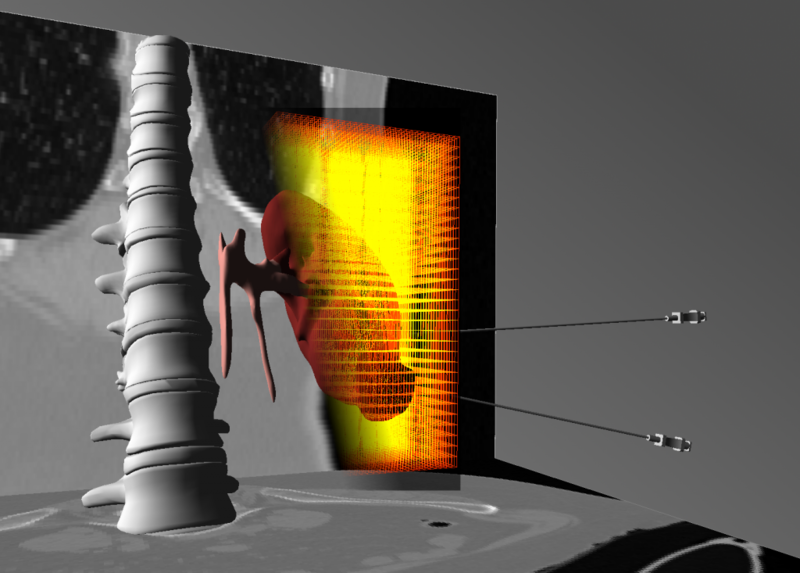 For instance, this plugin is used for the simulation of cryoablation procedures. 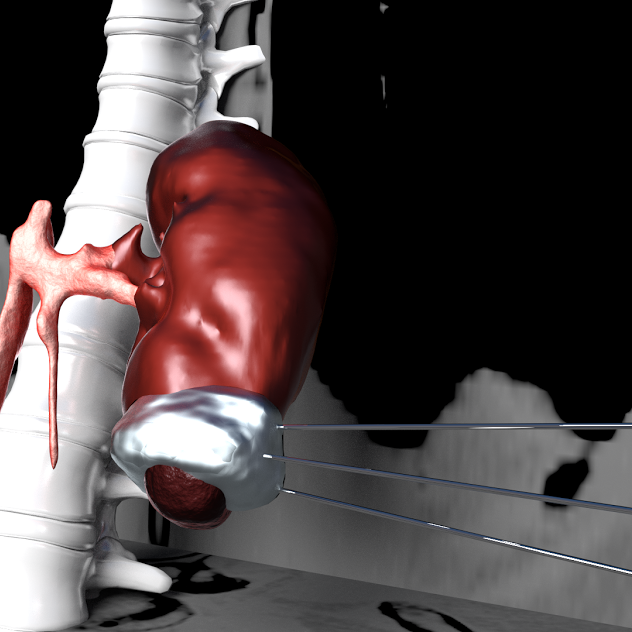 In interventional radiology, cryoablation is a growing technique for tumor ablation. Several hollow needles are percutaneously inserted in the target area under image guidance and a gas (usually argon) is then decompressed inside the needles. Based on the Thompson-Joule principle, the temperature drops drown and a ball of ice crystals forms around the tip of each needle.